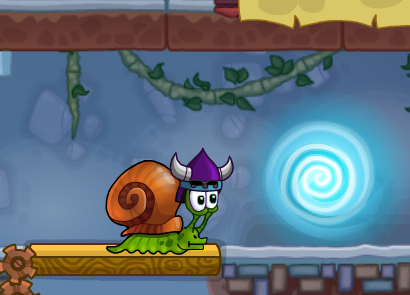 Snail Bob is in love in this new version of the game: Snail Bob 5! 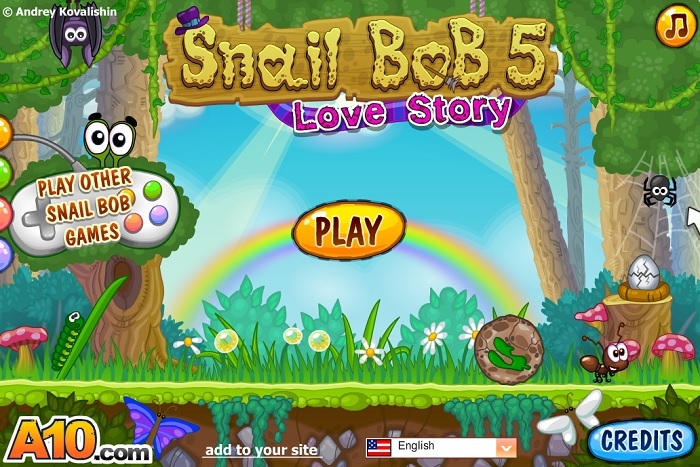 As Snail Bob was travelling through his beloved forest, his home town, he spots a poster of a beautiful female snail and instantly falls in love. He decides to go on another adventure, one where he is following the direction of his heart. 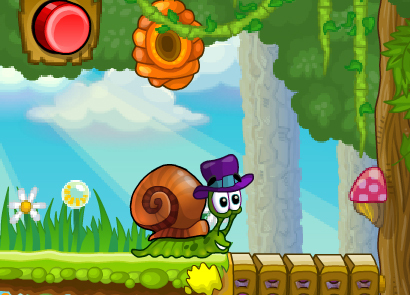 Help Snail Bob navigate through the dangerous forest in search of his one true love! The controls in this game are slightly different than the previous version. This time, there are more keyboard controls available to players. 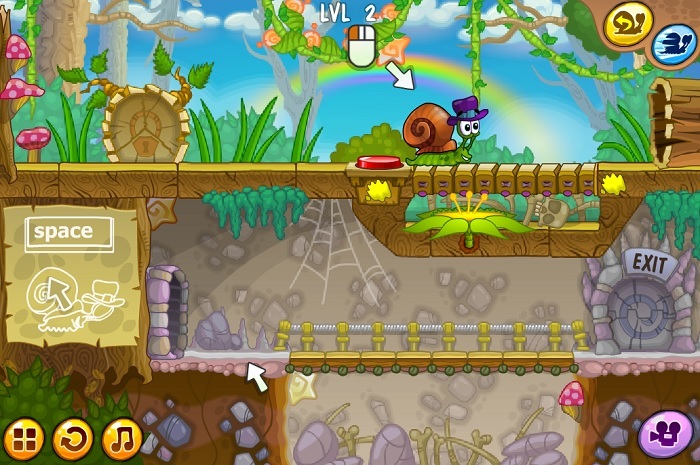 Mouse – Use the mouse to click on switches, levers, and buttons throughout each level of the game. These mechanisms will trigger different actions, such as raising or lowering platforms and beams. Spacebar – Use the spacebar to stop and start Bob. Alternatively, you can also perform the same action simply by clicking on him. Number 1 button – Press the number one button on your keyboard to make Bob turn around to move in the opposite direction. Alternatively, you can also perform the same action by clicking on the button located at the top right corner of your screen. 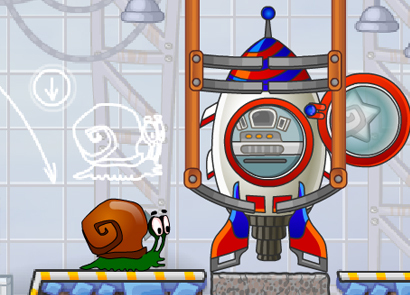 Number 2 button – Press the number two button on your keyboard to activate the speed booster for Bob. Alternatively, you can also complete this task by clicking on the speed booster button located at the top right corner of your screen. 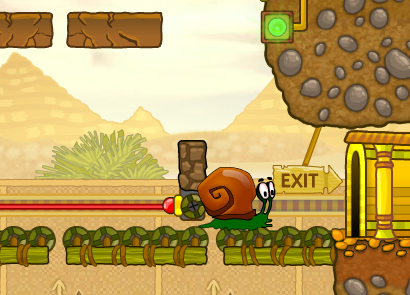 The game offers 25 challenging levels for players to complete. Within each level, there are three golden stars hidden. Players are tasked with not only completing each of the levels to help Bob find his one true love, but also to collect as many stars as possible throughout each level. 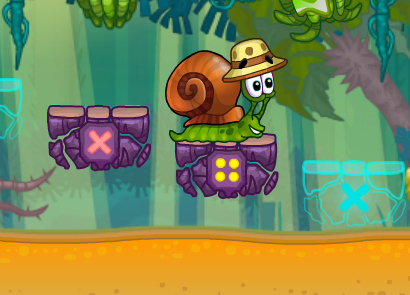 Similar to the previous versions of the game, the first few levels in this game are designed to help players learn the basic concept of how to play the game. They teach you which keys on your keyboard operate various functions and actions, and how to determine what a particular level will require in order for you to complete it, such as how to find the buttons and levers to activate a specific function. As you progress past this stage, the levels become much more challenging and the stars are hidden much better. 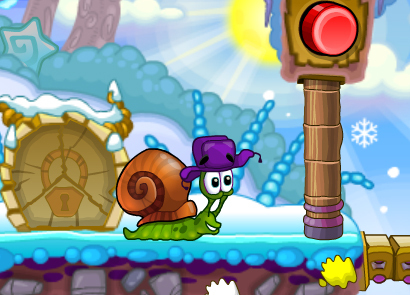 It is important to collect as many stars as you can throughout each level. Not only do these stars add to your overall score, but they also unlock special bonus levels available in the game! 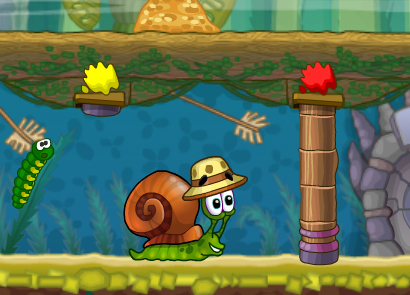 These bonus levels are a new feature never seen before in the series of Snail Bob games, and they are incredibly fun to play! The most challenging bonus level to unlock, obviously, is the last one, which essentially requires you to find all three stars in every level in order to unlock it! 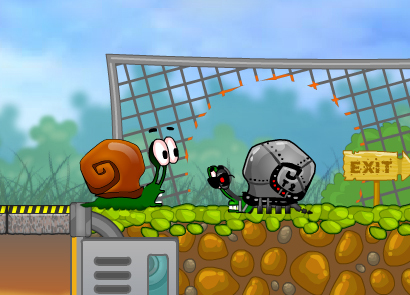 This game features new obstacles as well! Sometimes you may be facing deadly obstacles like hungry alligators, while at other times you’re merely trying to figure out how to get past a particular deadly barrier. 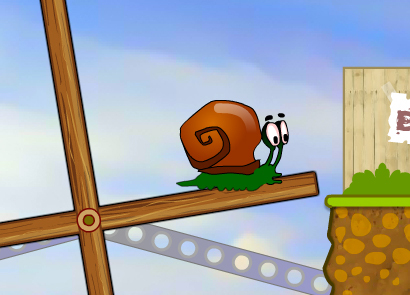 Are you faced with a particularly challenging level? Have no fear, YouTube is here! You can easily search for a wide variety of video walkthroughs on YouTube and other websites that will show you exactly how to complete each level or where a particularly hard-to-find golden star is located! Check it out, and get past that difficult hump.